Track your BlackBerry's radiation level with Tawkon | BlackBerry Blast! 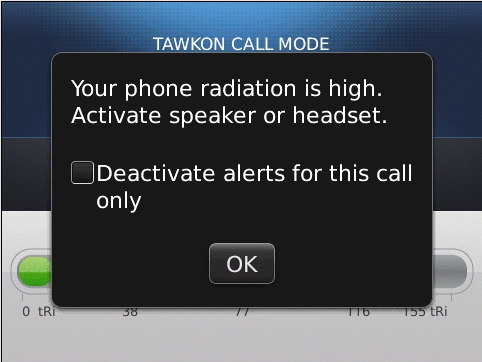 tawkon provides a smart, practical solution to mobile phone radiation, with minimal disruption to normal phone usage. tawkon monitors and analyzes your mobile phone radiation so you can �talk on� as usual and receive smart prompts to avoid radiation just when you need to. Mobile radiation constantly changes; tawkon is the only application that recognizes when radiation exposure has increased, alerts you when radiation levels cross a predefined threshold, and provides simple, non-intrusive suggestions to reduce exposure to radiation. 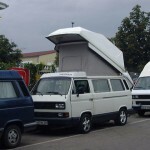 Suggestions are based on your real time environment and usage factors. tawkon operates in Prediction Mode (while not on a call) and Call Mode.